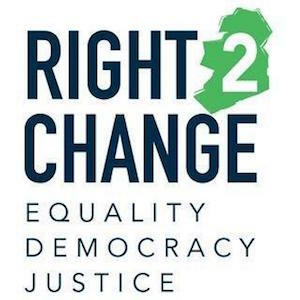 Trade union leaders had urged all those who signed up to the Right2Water anti-water charge campaign to transfer to other affiliates of the group, now known as ‘Right2Change’. The group included a broad coalition of trade unions, civil society organisations, Sinn Fein, progressive political parties and independents stemming from the Right2Water movement. They had drawn-up a range of left-leaning policies which they hoped would be implemented by the next government in Dublin. But so far the reaction from groups such as the Anti-Austerity Alliance has been broadly hostile. The former Socialist Party leader, Joe Higgins TD, raised the old shibboleth of sectarian divisions in the North, which he argued Sinn Fein had failed to address. His colleague in the Anti-Austerity Alliance, Ruth Coppinger, said her organisation would not agree to forming a government with Sinn Fein, even if the numbers allowed, because of austerity cutbacks in the North. She claimed the Right2Change campaign had become a “prop” for Sinn Fein. Her colleague Paul Murphy, the Socialist Dublin South-West deputy, blankly said he would not participate. The Social Democrats, the new ‘left of centre’ party formed by TDs Roisin Shortall, Catherine Murphy and Stephen Donnelly, also declined to sign up to the new progressive platform. Independent TDs such as Clare Daly and Mick Wallace have indicated their inclusion, although Donegal independent Peter Pringle said he was concerned that Sinn Fein could be using it to “maximise its vote”. The chaotic nature of the responses was good news for the Labour leader, once the standard bearer of the Irish left. Labour leader Joan Burton claimed the political alliance between Sinn Fein and left-wing parties and Independents was “over before it began”. “It sounds a bit as though before the parties even got to the altar they kind of fell out, maybe before they even got into the church,” she said. Republicans have condemned those who opted for an isolationist strategy. Sinn Fein deputy leader Mary Lou McDonald said it was “unforgivable” for left-wing groups not to grasp the opportunity of the broad policy platform and transfer pact. “I can only speak for Sinn Fein,” Mary Lou McDonald said. “Others now need to do likewise but let me reiterate. There is an expectation and an appetite that is unmissable amongst communities right across this State who want those of us who have argued so strongly against austerity, who have argued investment, who have argued for relief for low and middle income families. She said the “driving impulse for this, in the first instance, is about the alternative politics we have been talking about and advocating over the course of the current Dail”.